Nail styles come and go but one style remains popular: the French Manicure. Since they were introduced many years ago, in fact, French Nails have never gone out of style. They are a classic look for day or night, and you still see them everywhere. 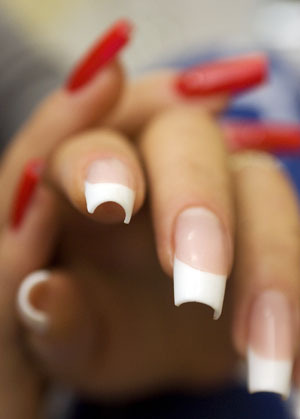 But in recent years, we have seen different variations of the French Manicure. 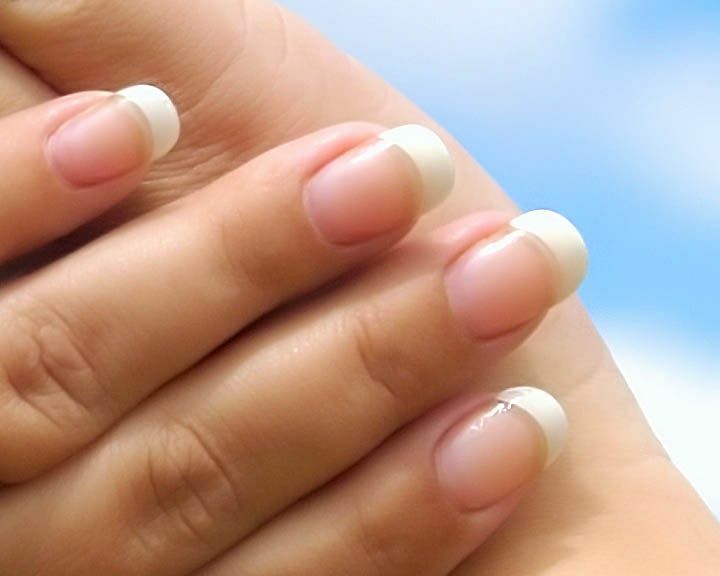 Now, instead of just pink nails with the traditional white tips, there are many different kinds of French Manicures. There are so many new options. French Manicures.com shows modern brides and teen girls going to prom some of the elegant new nail styles and colors. You can find excellent pictures of fresh new ideas which you can print out and show your manicurist at the nail salon. 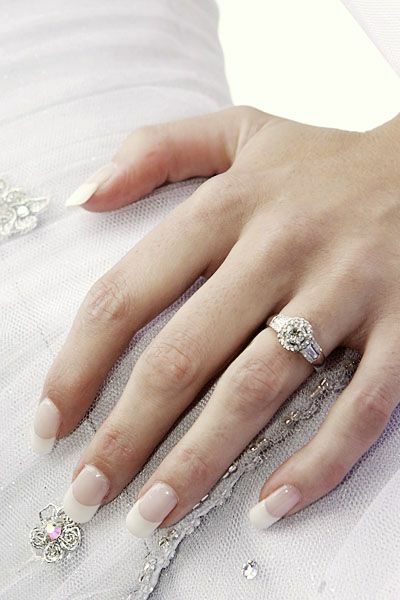 Wedding nail art for French Manicures is a popular look for the bride who wants to dress up her nails. It adds extra elegance to the classic French look. Women are choosing increasingly sophisticated manicures, but the great thing is the refined new looks are very pretty without being too flashy. One of the latest nail trends is the old French Manicure in different new colors. So the nail bed color may stay pink, but the tips are not white. The most popular alternative nail tip colors are red and pink, but you also see black tips, too, since black nail polish became a hot nail color trend. You also may have seen girls wearing alternative French Manicures where the tips are white as usual but the nail bed is a different color. Another type of manicure is the French style in reverse. The tips are pink instead of white, and the nail bed is white instead of pink. French Manicures.com is just getting going. There are 50 pictures of manicures to get the nail show started, with lots more on the way. See if you can find yourself a hot new manicure style now, or if not, bookmark this site, and return later for the new updates. Beneath the 50 thumbnails on this page there are more pictures below. This takes a very steady hand and significant experience to get right and make your nails look good. Even if you can do a perfect manicure with regular polish, freehand painting to perfection is extremely difficult on 10 nails. Some technicians have it down to a fine art. This method is probably the most popular. It can take a while, however, to comfortably peel off and perfectly position the French Manicure guide stickers. But those stickers are very cheap (a few dollars or less). 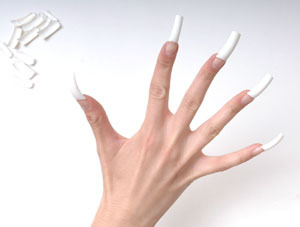 Another popular cheap manicure is a set of thin acrylic nails that you can glue on. The synthetic nail doesn’t cover the entire nail bed. Even though the tips are bright white and have well-defined smile lines, this kind often yellow fairly quickly (not the white, the rest). The manicurist affixes full-length curved white tips (the size they come in); then she cuts them down to the length you want. A special gel is used with nail guides. The gel comes in different shades of white and pink. It cures under UV light in 30 seconds to 3 minutes. It is a tough material and it can be further protected with very shiny clear sealant. Besides durability, the sculptured advantage is more tapered and more rounded tips. The factory-manufactured acrylics are much flatter than personally custom-made gels because they are designed to fit more women’s nails. High arched nails to about 50% are one of the unique and definitive characteristics of sculptured French manicures. The disadvantage of gels is limited to the skill of the nail technician. Gels can be too thick–several times thicker than natural nails and acrylics. The above picture is an example. Some women prefer the extra thickness, but make sure you get it by choice. The advantage of French manicures, as we have already noted, is they make your nails look clean. The disadvantage is they are not forgiving when they aren’t clean. 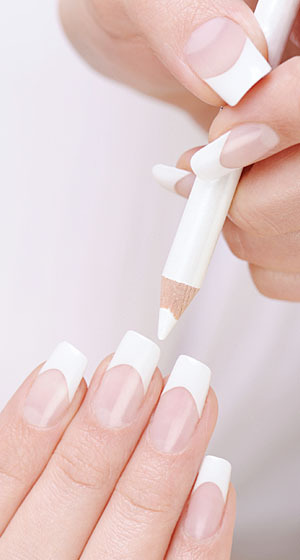 French manicure pencils are a clever idea for touch-ups, but so far they get mixed reviews. Some of the critics say the white pencil color washes off too easily. They can work as a quick fix when you are going out. Since the pencils are pretty cheap they are worth testing. Nail experts agree that manicures are well preserved with a good top coat and a new layer of clear top coat every few days. This is definitely true for the continued protection of French perfection. The manicure trends this year are expected to include the continuation of what fashion magazine editors noted got started a few years ago: colored gel nails. Originally gel was used only in French manicures (pink and white) and nail art; then colored French tips became popular. Now the same colored gel is being used to paint the entire nail. It seems like a natural progression, doesn’t it? Because cured gel is so durable, you can now get a manicure that lasts for three weeks instead of one–or even longer with the special gel top coats–like the IBD Intense Seal Top Coat. What is the condition of your natural nails? Are they strong and healthy enough to handle the stresses of filing and chemicals used for manicures? Or are you prepared to wait for your nails to recover after acrylics are removed? You don’t have to look online in public forums very long to read accounts of women whose nails looked damaged after they removed their enhancements. Sometimes the damage was done in application; and sometimes it happened by the incorrect removal. The thinner and more brittle your nails, the more careful you should be and the more research you should do before taking matters into your own hands. Consult your salon or read the great nail care advice online. Most of the time French manicures cover the tips of your nails from the fingertips (where the nail bed ends) to the end of the nail. As your nails grow out, however, as the picture above illustrates, you start to see the natural curved ‘line’ as the white polish no longer fully covers enough of your tips. There becomes an obvious clash in color (slightly yellow versus white), definition (not a sharply edged line), and sometimes also shape (not perfectly round). Then you either paint a new smile line or simply get a new manicure. But you can make your French manicure last longer if you get the white “smile” to start a little further back (closer to the cuticle) when you first get your nails done. You can’t go too far back, of course, without it looking unnatural, but you can still start it far enough back to get an extra week or more out of your manicure, and it still looks pretty. Professional women, such as jewelry saleswomen, whose work makes their hands and nails visible all day, benefit from the immaculate look of perfectly clean French manicures. Your nails cannot appear more clean than they do with 100% white tips. What are the best tip shapes? Squoval seems to be the top choice in America but square is also quite popular. Older women and ladies in other countries like oval and round tips. That was the most common nail shape in the 1940s to 1960s. Over ten years ago, OPI introduced its Custom Dual-Tone Collection of nail polishes called Two Tones. It was for women who wanted to go beyond the traditional French Manicure but still look professional and polished yet not too wild and extreme. Although you may not be able to get all the OPI nail colors today that were for sale back then–even on eBay–the ad gives you some ideas on beautiful color combinations. The names of the colors appear below the ad in case you want to copy and paste them so you can search online. Note that some stores sell French Manicure sets (polish duo) with the two colors for both nail beds and tips. After trying different color combinations you may still eventually get bored with the simple design of just two primary colors. Art could be the boredom solution. You can add art at the time of your manicure or even days later. 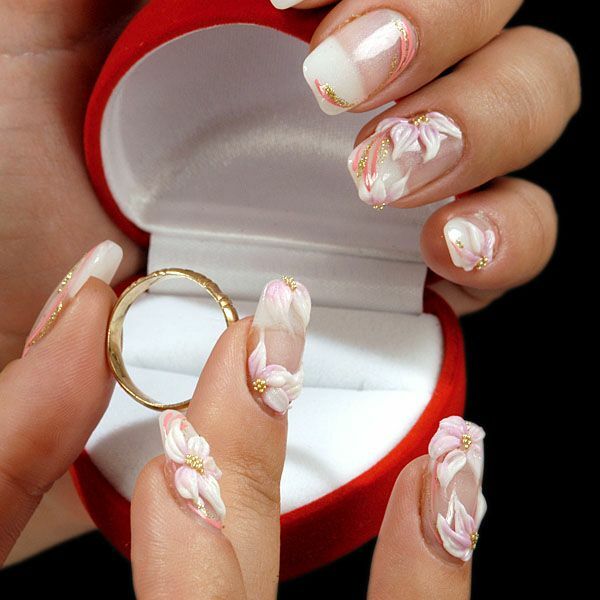 Two-dimensional is common but three-dimensional nail art with flowers is a nice idea, too. Women in Asia love this style! In the above photo example, you can see how each nail has a basic French style, but also on top of each nail there is a unique design. No two nails are the same but it’s very pretty and well-designed. The gold glitter is a beautiful accent to the miniature gold clusters of gold beads. Notice, too, how the pink-and-white flowers complement the pink-and-white manicure. For extra color and feminine flair this model’s nails have thin streaks of coral nail polish. Bride with round shape for her pink and white nails. This shape beautifully enhances the perfect smile lines.